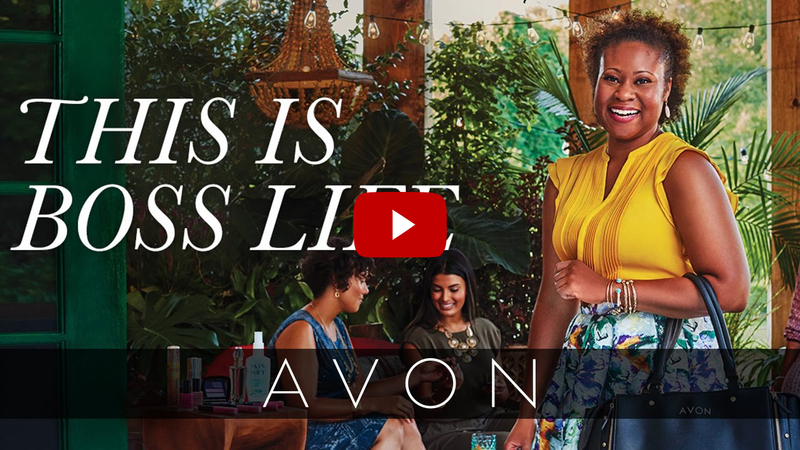 Start living the Avon Boss Life today! PR Newswire, NEW YORK, NY – OCT. 17, 2016 – Avon launched more female bosses than any other company in the past century, now New Avon LLC (“Avon”) has commissioned a survey for National Boss’s Day (October 17), which found that most Americans (80 percent) would love to be their own boss. 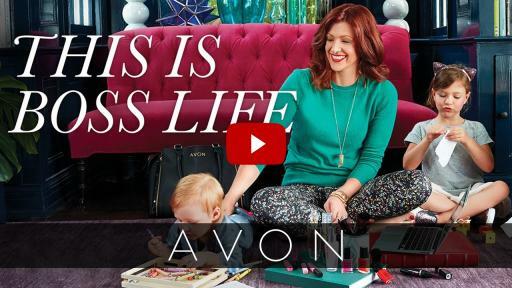 The research was conducted in conjunction with Avon’s recently unveiled advertising campaign, “This is Boss Life.” The new campaign highlights the flexibility and financial opportunity of becoming an Avon Representative, and encourages women to take a step beyond their typical 9-to-5 work life and say hello to a new kind of life where they are the boss. 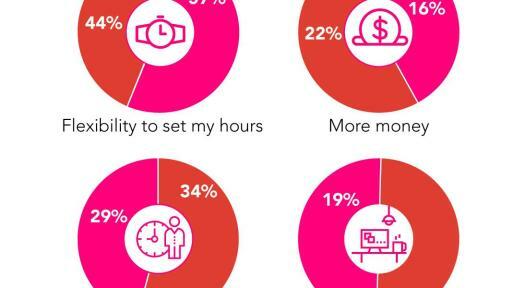 Avon’s survey goes on to reveal what participants believe are the most positive attributes associated with being your own boss, citing “flexibility to set my hours” as the biggest benefit (57 percent of women and 44 percent of men). Other noteworthy benefits include, “No one telling me what to do,” (29 percent of women and 34 percent of men),“More money,” (16 percent of women and 22 percent of men) followed by 19 percent of women declaring less office politics would be a major plus of being their own boss. Today, on National Boss’s Day, Avon is taking the opportunity to invite women - and men - everywhere to take control of their lives and start living the Avon Boss Life. The “This is Boss Life” print campaign features the real-life success stories of Avon Representatives Georgiana Haynes, Lydia Osolinsky and Carlos and Milagros Garcia. Lydia explains what being her own boss means to her, “For me, being my own boss is about the ownership in success - and that’s empowering. I have the control to make changes to get what I need -- there’s always another way to make things happen. I love that Avon is a part of that.” To learn more about their stories, visit the Avon Beauty for a Purpose Blog here. To celebrate National Boss’s Day, Avon has uploaded the re-imagined “I Will Survive” campaign song on video messaging app Dubsmash to let users record and share a video of themselves lipsyncing the song. All are also invited to share a photo of what your Boss Life looks like using Avon's #BeautyBoss photo frame on any of your social media channels. Visit sellavon.com and start living the Avon Boss Life today. The Avon Boss Life Survey is an omnibus survey of 1,130 American adults 18+. It was designed and conducted online by Finn Partners between September 30th and October 2nd, 2016. The sample was stratified and the data was weighted slightly by region, age, gender, income, and race in order to ensure a proportional, representative sample. This survey has a margin of error of +/-3 percentage points at the 95% confidence level. The margin of error is higher for subgroups within each sample. New Avon LLC (“Avon”) is the leading social selling beauty company in North America. The company generated over $1 billion in revenues during 2015, and has nearly 400,000 independent sales Representatives in the United States, Puerto Rico and Canada. Avon's product portfolio includes award-winning skincare, color cosmetics, fragrance and personal care products, featuring iconic brands such as Anew, Avon Color, mark., and Skin So Soft, as well as fashion and accessories. Avon has a 130 year history of empowering women through economic opportunity, and the company also proudly supports the Avon Foundation for Women in its efforts to end breast cancer and domestic violence. Learn more about New Avon and its products at www.avon.com.